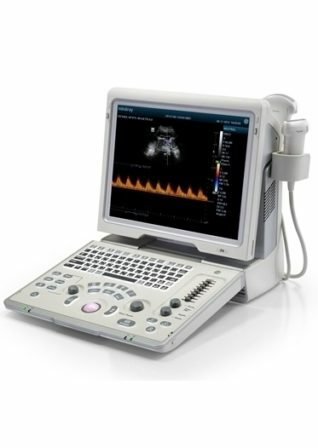 The Aloka ProSound C3CV Ultrasound System is a powerful, portable imaging solution that offers image quality, networking and workflow benefits not previously possible in a hand carried system. The Aloka ProSound C3CV System delivers world class imaging performance by leveraging the power of the Fusion™ Processor and a high-performance laptop computer. The familiar Windows graphical user interface makes the system intuitive and easy to use, and flexible design allows the system to be instantly convertible from a portable unit to a cart-based system. The Aloka ProSound C3CV system’s compact size and light weight make it easy to image in crowded patient rooms or at remote sites. Weighing in at just 8.0 pounds, the system can operate on batteries for over 2 hours. The t3000 also easily converts to a cart-based system. Because the Aloka ProSound C3CV system runs as a Windows application on a standard laptop computer, you already understand how to use it. Further, it offers PC-related productivity benefits that are second nature. Images, loops and reports can be transferred to standard word processing and presentation software applications with cut-and-paste simplicity. Data file management is intuitive. Wireless and Ethernet connectivity are built in. DICOM export is a snap, and integration with voice command and other applications is seamless. During the exam, most common tasks are accomplished with a single keystroke. 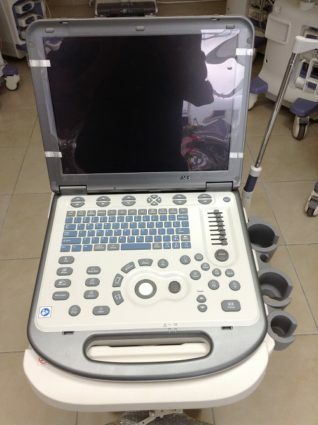 The Aloka ProSound C3CV supports a wide variety of transducers and exam types, delivers powerful vascular and cardiac reporting, and is designed to augment larger systems for imaging at remote locations or to serve as the primary imaging solution in smaller or office-based practice settings. 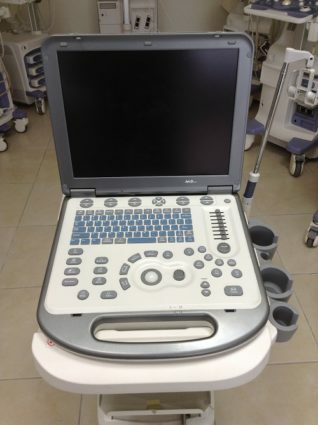 An investment in the Aloka’s ProSound C3CV Ultrasound System will maintain its value for years to come. The system architecture enables simple and frequent software upgrades, and our unique Laptop Upgrade extended warrantee program makes it easy and inexpensive to keep your hardware up to date with the latest advances in PC processing, communications, data storage and display technologies.